ill at ease is an e-chapbook collection from PenMan Press, available now from Amazon and Smashwords. 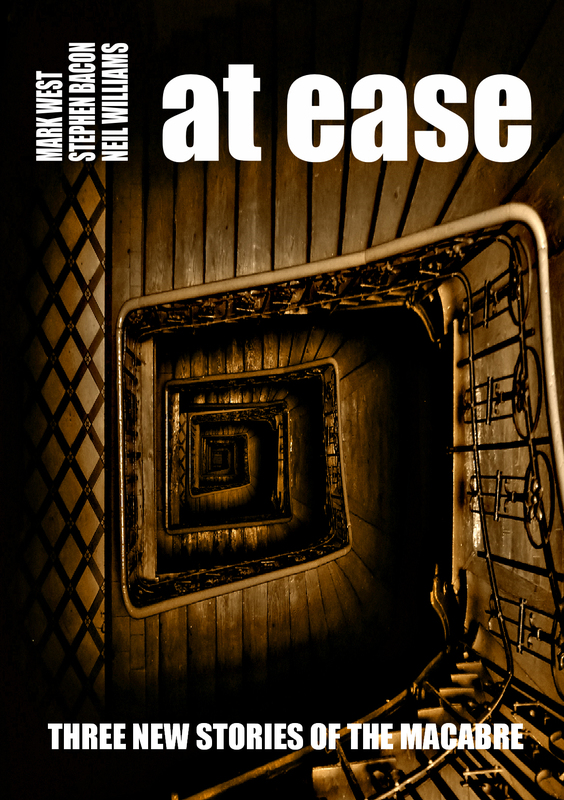 Combining the talents of Stephen Bacon, Mark West & Neil Williams, ill at ease showcases three new tales of the macabre. Pete Richards returns to his hometown for the first time in years. His childhood pal is dying, and Pete realises he must face the past and confront some ugly truths if he is to fulfil his friend’s dying wish. But the events of their childhood would prove to hold far more darkness than he’d ever imagined. When David Willis travels to the picturesque village of Hoelzli, for a reunion with his old college friends Simon & Kim Roberts, he expects a weekend of laughter and reminiscing. But on a visit to the local fair, he manages to lose the Roberts’ seven-year-old son Billy and things take a decided turn for the worse. Dave is a loving family man, with a keen eye for a bargain. So when he spots a brand-new-looking child seat in a skip at the local tip, he decides to take it. After all, he needs one in his car to ferry his daughter around. But then he starts to notice things that seem otherworldly yet still familiar. Could it really be an unquiet spirit, the echo of some past tragedy? Or is it something else? Something that is much closer to home? The collection is also available, on a range of formats, from Smashwords. More details at the PenMan Press website or join the Facebook Group.